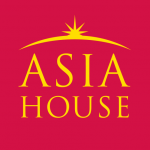 Home /China, International Relations/CPEC and Pakistan’s development: Game changer? China’s ambitious plan to stabilise its western periphery through the Belt and Road Initiative (BRI) has at its core the China-Pakistan Economy Corridor (CPEC), a set of energy, infrastructural and social projects aimed at boosting Pakistan’s economy. Chinese premier Li Keqiang argued that CPEC is BRI’s ‘flagship project’. China’s development-stability nexus represents one of the main drivers behind CPEC, as Beijing sees in a stronger Pakistani economy the opportunity to stabilise Pakistan and to reduce the security risk to Xinjiang. Since it was announced during Xi Jinping’s visit to Pakistan in April 2015, CPEC has sparked a great deal of interest as it represents the first test-ground of China’s political and economic outreach through BRI. While the name suggests that the countries are establishing a trade and transportation corridor, it is more correct to interpret CPEC as an investment package aimed at transforming Pakistan’s infrastructure and economy with China’s support. Although the first CPEC cargo from China reached in November 2016 the port of Gwadar in Pakistan and there are talks to build an oil pipeline connecting the Gwadar with Western China, there are reasons to believe that the transit elements of CPEC are going to be relatively modest. The Karakoram Highway connects the two countries but portions of it are closed intermittently due to landslides. In addition, an article by an analyst at China’s Ministry of Commerce was very straightforward in outlining the limitations of using Gwadar as a hub arguing that the port ‘has no links to China’s energy imports’. The author was also very sceptical about the construction of the oil pipeline. To understand what CPEC is and how will it evolve over the course of the next years, the long-term plan document published by Dawn in June provides some answers as to how CPEC is unfolding. Once the document was made public, the Pakistani Minister of Planning and Development, Hasan Iqbal, clarified that the information presented in the document delineated ‘the aspirations of both sides’ and that it was still a draft. Notwithstanding some elements will change in the future, the document provides important insights into the main streams of CPEC development. The plan identifies four main areas around which the economic corridor is articulated: agriculture, industry, fiberoptics and surveillance, tourism and recreation. The section regarding agriculture provided some particularly interesting details. With energy projects taking the lion’s share of CPEC investment, very little was known about plans to develop Pakistan’s agricultural sector before the document was made public. Again, it is clear how part of CPEC projects are aimed at Xinjiang as the document focuses on the opportunities for the Kashgar Prefecture and Xinjiang Production Corps. Industry will be also an important component. The plan divides Pakistan into three parts: the western and northwestern zone, covering most of Balochistan and KP province, is marked for mineral extraction. The central zone is marked for textiles, household appliances and cement. Finally, for the southern zone, the plan recommends that “Pakistan develop petrochemical, iron and steel, harbour industry, engineering machinery, trade processing and auto and auto parts (assembly)” due to the proximity of Karachi and its ports. As Dawn reports, the document was drafted to only marginally touch on the automotive industry as the sector is largely controlled by Japanese firms. Fiberoptics is set to be another important part of CPEC and one to follow closely. The connectivity envisaged in the plan will bring increased internet speed in Gilgit-Baltistan and Balochistan, and the port of Gwadar will become a submarine cable station. Interestingly, internet traffic in Pakistan will be routed through China as the fibre optic network currently in use has some Indian companies as partners. As Dawn noted, routing through China, and therefore going through China’s model of internet regulation, might put at risk freedom of speech and access to information for Pakistani users. Finally, in the areas of tourism and recreation, the plan envisages a number of projects (from yacht wharfs to gold courses and spas) to transform Pakistan’s coastline facing the Arabian Sea into a thriving tourists destination. Since 2015, the so-called ‘early harvest’ projects (namely those scheduled to be completed by 2018) agreed under CPEC are materialising on the ground. While this might not come as a surprise to many, for those following closely Pakistan-China relations this marks an element of discontinuity with the past when a large number of projects agreed between the two sides remained on paper and did not take off. In addition, the security situation in Pakistan has improved and a 10,000 men-strong Special Security Division (SSD) was created to guaranteed the security of Chinese workers in the country. Yet some challenges lie ahead. Summer 2017 will go down in Pakistani history books as the summer of the 70th anniversary of independence as well as the one in which another Prime Minister, Nawaz Sharif, was disqualified by a Supreme Court ruling over corruption charges. No Prime Minister in the country’s history was ever able to complete his/her term in office. Besides the important implications of Pakistan’s democratic transition and civil-military relations, CPEC was also in part affected by the change of leadership in Islamabad and by the ensuing political uncertainty. In a recent interview, Lijian Zhao, Deputy Chief of Mission (DCM) at the Chinese Embassy in Islamabad, mentioned that ‘Political stability is a must for economic development’ adding that following Mr Sharif’s dismissal there were some difficulties in coordination between the two countries vis-à-vis CPEC. The latter will likely take centre stage during the 2018 elections campaign and will be trumpeted by the incumbent PML-N government as a success story. Pakistan’s civilian and military leaders need to ensure that the civil-military bickering does not get in the way of CPEC. After all, it is a potentially transformative project that benefits both parties of the civil-military equation. Filippo Boni (@FilippoBoni1) holds a PhD in International Relations from the School of Politics and International Relations, University of Nottingham. His recently defended PhD thesis looked at civil-military relations in the context of Sino-Pakistani ties. 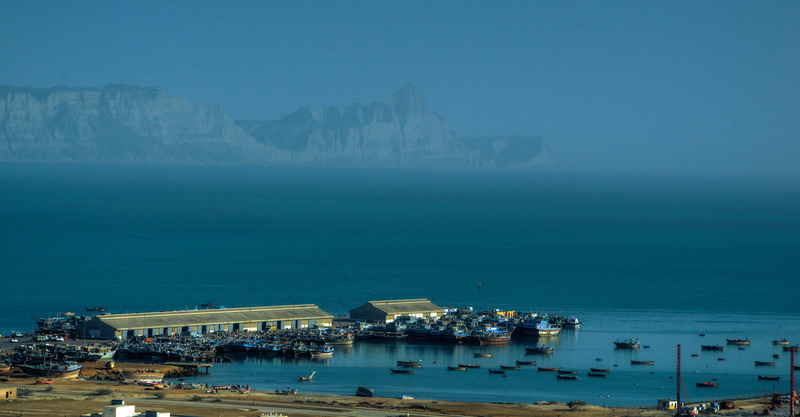 Filippo’s latest peer-reviewed article on Sino-Pakistani relations and the port of Gwadar can be accessed here. Image credit: CC by umairadeeb/Flickr.